Welcome to my JUST BEARS photo album. 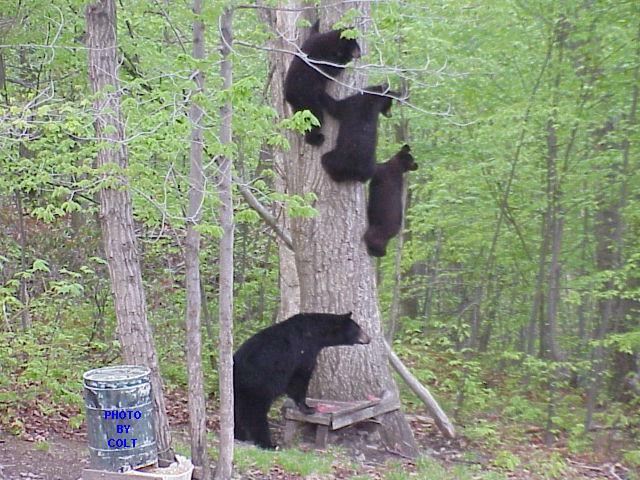 Here you will find just bears. These pictures were taken in north central Pennsylvania at our family's mountain side cabin. I used my sony fd 91 digital camera from a distance of about 60 feet on full auto. I hope you enjoy my album and don't get to close to bears in the wild the are very unpredictable animals. On the next few pages you will find picture of bears in the wild we supply them with food and they give us some of our best memories.